1. 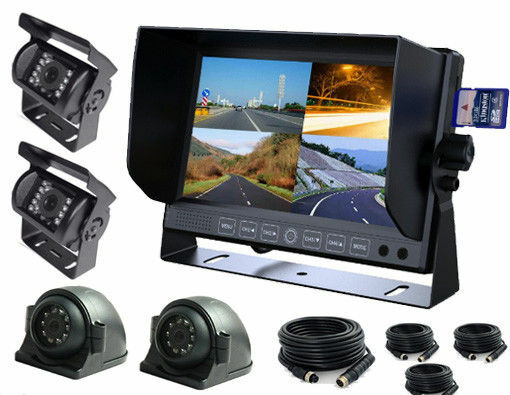 The system can work with 1~4 cameras to monitor the front, side and back of Truck, Van, Bus, Benz Motor - home, commercial van and can also support 32GB SD card recording. 2.It's widely used in the Truck and Van for reversing and monitoring. 3. 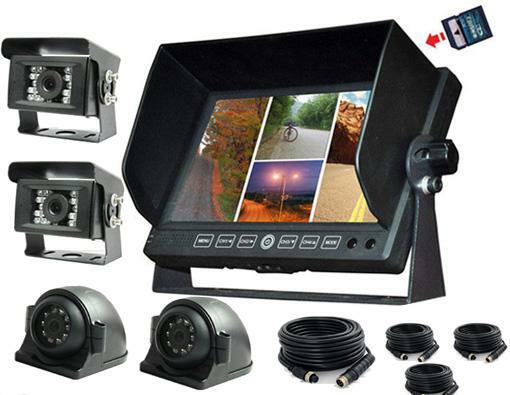 We also have waterproof monitor, wireless DVR, mobile DVR for option. 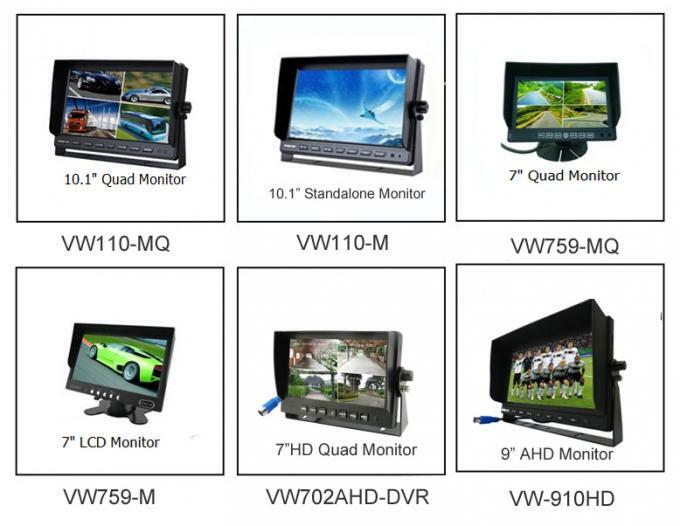 We are professional manufacturer of 4ch/8ch mobile dvr system with monitors, cameras.They are used for vehicle fleeting management and safety monitoring.The full system are very necessary for buses , truck, school buses,tailer,police cars, bank money carrying cars and so on. 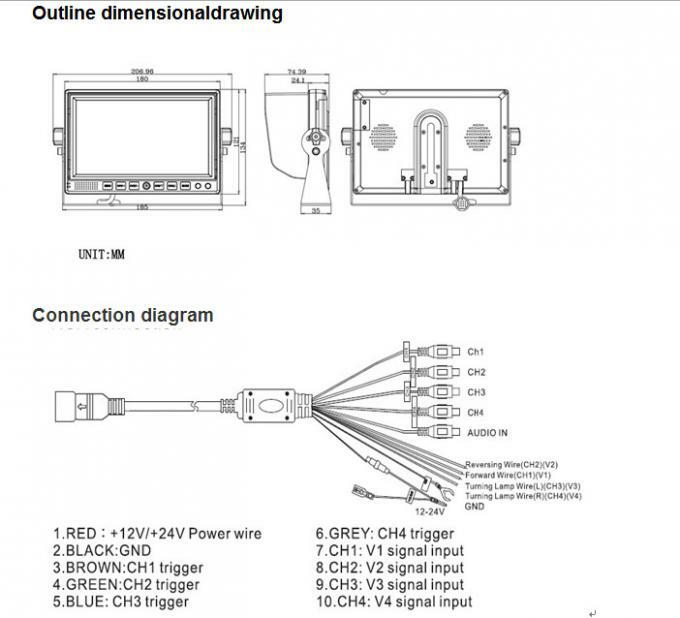 3G remote viewing real time monitoring function let you see what drivers and passengers are doing, where they are with GPS tracking . 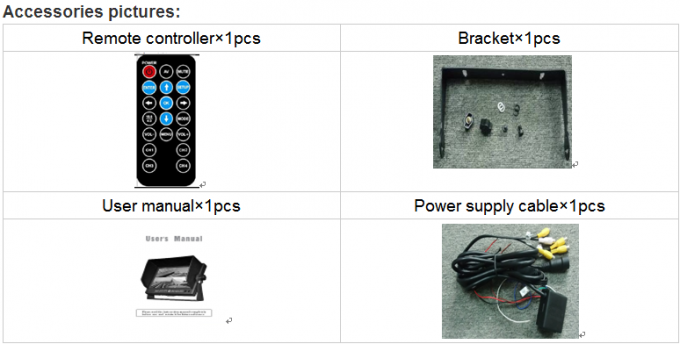 Welcome you to test our Quality.